Colorful rock sequence from rim to river combined with river-level photos clearly labeled with formation names for easy identification. 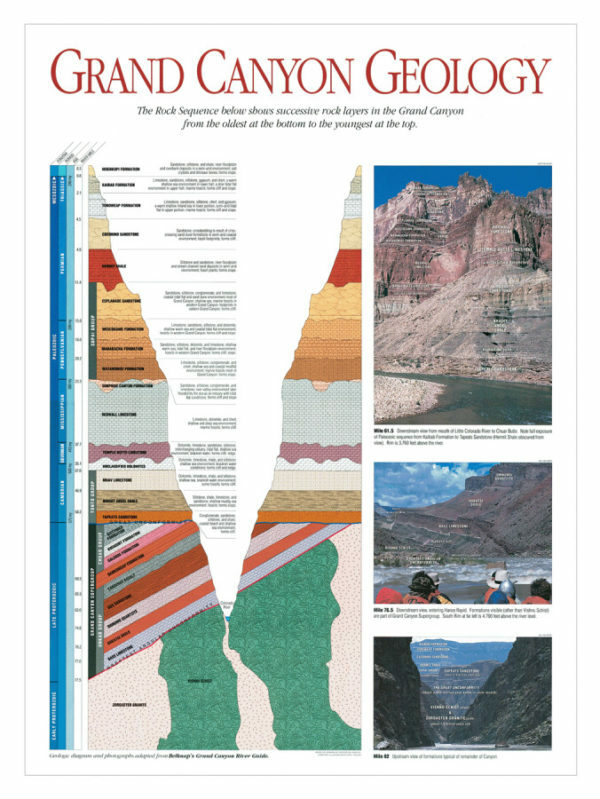 A graphic slice of the earth’s history suitable for framing; promises to look great on office or study wall. Size: 18″ x 24″.